If your driver’s license has been suspended, you may have many hurdles to cross in order to have your license reinstated. These reinstatement requirements can be confusing and looking to the BMV for guidance can sometimes create more questions than answers. This blog post will discuss some common driver’s license suspension issues and reinstatement requirements. One of the most common questions we receive from new clients looking to reinstate their driver’s license is how to resolve outstanding and unpaid traffic tickets. If you receive a traffic citation, the court will typically give you 30-60 days to either admit or deny the ticket. Some courts even require a personal appearance to deny the allegation. However, If you miss that deadline, your license may be suspended. After your admit/deny deadline has passed, if you have not responded, the court will either certify a default judgment against you and certify an FTP (Failure to Pay) notice to the BMV (such is the case in Marion County) or enter a notice for FTA (Failure to Appear). In either case, the BMV will be notified to suspend your driver’s license until the ticket is resolved. However, there is one a big difference between an FTA and FTP suspension. If the court certifies a default judgment conviction and enters an FTP suspension, this means that the conviction is entered on your driving record at that time. Any points or driver’s license suspension associated with that ticket will be entered on your driving record immediately. Additionally, you may have to pay the ticket and any late fees and you may also be required to pay a reinstatement fee (discussed later). However, if less than one year has passed from the date of the default judgement, you may be able to file a petition to set aside the default judgment and have the conviction reversed in order to litigate the case. This is where an attorney can be of tremendous help, since there are very specific trial rules that must be followed in order to utilize this option. Having the conviction set aside does not dismiss the ticket, but it may help you negotiate a new plea or proceed to trial. This also does not remove all suspensions associated with the ticket, such as a suspension for failure to file proof of insurance. Alternatively, if you miss your response deadline and the court enters an FTA suspension, this means that the conviction has not been certified but your driver’s license will be suspended until you appear in court or respond to the ticket. The benefit of an FTA is that the conviction, points and suspensions associated with the ticket are not certified to the BMV. However, if the FTA is very old and you pay the ticket, the conviction and any points or suspensions associated with that citation are entered on your driver record at the time of payment, so you may end up with a new driver’s license suspension for a ticket you actually received years earlier. This is one of the reasons an attorney can be so helpful if you have multiple suspensions for unpaid tickets. Your lawyer can tell how each ticket will effect your license going forward and may even be able to have some of the tickets set aside and dismissed to save you fees and possibly avoid a new driver’s license suspension, license points or other consequences arising from the tickets. Along with any outstanding tickets, you may also see reinstatement fees on your driving record. These are administrative fees that are required by the BMV before you can obtain a new license or renew your license. Depending on your driving record, these can be in the $1000s. If you cannot afford your reinstatement fees, a lawyer may be able to assist you in having these fees waived by the court. Chambers Law Office has helped many clients have all of their reinstatement fees waived. However, if they cannot be waived, you may be required to pay these fees in order to reinstate your driver’s license, if you cannot satisfy the underlying BMV requirement that created the reinstatement fee. One of the main reasons that the BMV requires a reinstatement fee is because a driver did not provide proof of insurance when required. If a person receives multiple tickets, is involved in a accident or has ever been required to provide proof if insurance in the past and receives a new citation, the BMV will send a request for proof of insurance. The BMV will give the driver 40 days to provide proof that they had insurance for the vehicle they were driving on the date of the traffic citation or accident. If the driver cannot or does not provide proof by the deadline, the driver’s license will be suspended for 90 days. (If the driver has been suspended for failure to file insurance in the previous two years, the BMV will issue a one year license suspension.) On top of the license suspension, the BMV will add on reinstatement fees, anywhere from a few hundred dollars to one-thousand dollars. However, even if the deadline has passed, if you can provide proof of insurance for the car and date in question, that can still be done after the fact and the suspension and fees can be vacated. If you have any questions about how to waive these fees or submit proof of insurance to the BMV, Chambers Law Office can help. On top of any outstanding tickets and reinstatement fees, you may also see a requirement for a Driver Safety Program on your driving record. This is a BMV requirement if you receive more than two citations during a one year period. If you are required to take this class, the BMV will send notice to your last known address and provide a deadline for you to complete the class. If you do not take the class by the deadline, your license will be suspended until you complete the requirement. Most driver’s take this class online and information can be found at https://www.in.gov/bmv/2376.htm. Many driver’s are also required to submit an SR-50 and/or SR-22 in order to have their license reinstated. These are BMV forms relating to car insurance. An SR-50 is a form that tells the BMV you have state minimum coverage. This is a one-time form that is submitted electronically from your insurer. An SR-22 is often referred to as “high-risk” insurance. This form must be on file with the BMV for a period of five years or longer. This form also tells the BMV that you have insurance, but the difference between an SR-22 and SR-50 is that if you cancel your insurance and have an SR-22, the insurer is required to notify the BMV and your license will be suspended until you obtain a new SR-22. If you only have an SR-50 and you cancel, the BMV is not notified. Insurers often have higher rates for driver’s that require an SR-22, so you may find that your rates go up if this is a requirement. A lawyer can help you obtain these forms and explain your insurance requirements going forward. 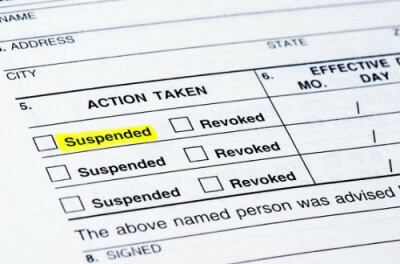 Along with the above suspensions, some driver’s may have other suspensions on their record, such as suspensions for failure to file insurance or excessive points, habitual traffic violator suspensions or a court ordered driver’s license suspension. If this is the case, a lawyer can determine whether there are legal or administrative options to have these suspensions vacated or if you need to consider another option, such as applying for specialized driving privileges. If you have any questions about reinstating your driver’s license or need help navigating the system and dealing with the BMV, Chambers Law Office can help. Attorney Julie Chambers is a former deputy prosecutor and has the experience necessary to help you deal with a driver’s license suspension, unpaid tickets and other reinstatement requirements. Call today to speak with a lawyer!